CloudDrive delivers easy-to-use business-grade file share, sync and real-time backup service to small and medium sized businesses via the cloud. CloudDrive can improve productivity and collaboration for mobile employees and remote users, while offering full control and protection of company data. Data is the lifeblood of every business and there are countless ways to lose it. When workstations and servers fail or are breached, vital financials, records, or documentation are often lost with serious consequences. CloudDrive allows you to set continuous, real-time backups of synced files and folders, local folder backups, custom or unlimited retention, and restore files and folders from the cloud, including Mass Revision Rollback. Because CloudDrive is syncing files, it’s also able to back them up… as soon as changes are made. CloudDrive syncs and backs up more than just the files in your CloudDrive folder—it also protects files and folders on your Desktop and in My Documents, Music, Video, Downloads and Documents folders. And once files are backed up with CloudDrive, they’re available from any device: Mac, PC, iPhone, iPad, Android, Windows Phone, BlackBerry and the web. Unfortunately most people are not diligent at backing up their data on a timely basis. Imagine an employee who has spent all day working on a document and then loses a laptop, has a hard drive failure, or gets hit by ransomware, yesterday’s backup isn’t going to help. Unlike traditional solutions, which create gaps because they back-up on a set schedule, CloudDrive backs up files in real time, every time a change is made. And CloudDrive will keep an unlimited numbers of versions. CloudDrive provides file synchronization between PC's and mobile devices, allowing business users to sync sensitive corporate files between servers, laptops, desktops, smartphones, tablets and the cloud. Mobility has taken the business world by storm. Today, businesses need anytime, anywhere access to their corporate data. CloudDrive cloud file sync technology enables secure, anytime syncing on any device. Any file type, any size, with sizable storage included. 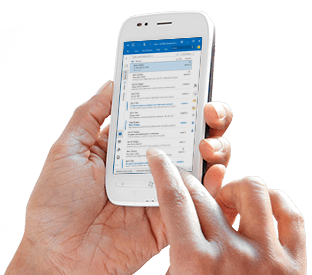 CloudDrive allows the mobile worker to securely access and share files wherever they go, on any device. Access can happen from laptops, tablets and phones, as employee content and corporate data is synced on the fly. Team Shares streamline file changes, ensuring that teams have real-time access to the most recent file versions. Users can easily share, set expiration dates, track downloads, receive notifications and send messages. All user activity is tracked – including adds, deletes and changes – enabling restoration of deleted files or previous versions. Remote Wipe a lost or stolen device. Clients can also cloud-enable their file server, lessening the need for cumbersome FTP and VPNs. Have a File Server? Enhance it by adding File Server Enablement with CloudDrive. Meridian file collaboration and sharing solutions start with cloud-enabling an organization’s file servers with our unique File Server Enablement feature, connecting legacy file servers to the cloud and remote users. Changes made on the on-premise server are synced to the cloud and mobile users and vice versa. Sharing has gone beyond social media. Highly distributed organizations and remote users need to stay in sync with colleagues, business partners, and customers without compromising their security and data privacy. The CloudDrive solution allows businesses to cloud-enable their file server and minimize dependence on FTP and VPN. Business continuity is the ability for a business to continue operations during a disaster. One of the most compelling reasons to use our integrated file backup and file sharing service is business continuity in the event your PCs become infected by ransomware. When it comes to ransomware, it’s not the ransom that’s so damaging to your business. It’s the downtime. Just ask the folks at Hollywood Presbyterian Medical Center. After 10 days of their data being held hostage by the Locky ransomware, they finally gained access to their files, but only after paying the ransom demand of $17,000. Many businesses have plans in place for natural disasters, power outages or other disruptions. Few have plans for cyber threats such as ransomware. That’s one of the reasons ransomware has been so disruptive to businesses and so profitable for criminals. the capability to roll back to uninfected files instantly. the capability to immediately access those clean files using alternate devices. CloudDrive offers both: in the event of a ransomware infection, just select the folder you want to restore, select the target point in time and start the restore. Your folders are instantly rolled back to their state at that point in time. A user can then access those files instantly through a web portal or mobile device, even as they’re re-syncing data to their computer. CloudDrive is a 2-in-1 file managemnet & backup service that offers instant rollback and instant access to data, enabling users to keep working during a ransomware outbreak. CloudDrive is a universal file management tool, that combines real-time backup and file sharing into a single service. Maintain employee productivity and the ability to generate revenue: Simply put, when organizations cannot conduct business as usual, they lose money. Taking orders, receiving and replying to important emails, and accessing important data are all activities that downtime can disrupt, leading to a financial drain on the firm. CloudDrive lets businesses remain productive by ensuring they can serve their customers and generate revenue, even after a major disruption or disaster. Preserve reputation with customers and partners: Downtime can also have a severe effect on organizations when it comes to their reputation in the eyes of customers and partners. These reputational costs vary among different organizations, but in all cases, they could be significant. For example, a critical hardware failure that leads to a day of downtime at a dentist’s office could lead to a loss of clients’ trust. A good backup and disaster recovery plan ensures a business’ that clients do not lose faith in the organization due to long periods of downtime. Meet obligations with clients: Downtime could lead to the inability for businesses to meet certain contractual agreements or deadlines. For instance, if a CPA firm experiences downtime during tax season and cannot recover this data before the tax submission deadline, the client is severely impacted by the CPA failing to render services. Prevent losing business to competition: Businesses that jeopardize their reputation due to downtime are likely to see customers take flight to competitors. As an example, if a law office experiences downtime or loses important documents, clients may question the firm’s credibility and take their business elsewhere. The costs of acquiring new customers are astronomically high compared to the cost of merely retaining existing customers, so it is important that organizations do everything they can to reduce customer churn. Backup and disaster recovery ensures businesses do not lose business to a competitor due to downtime. Ensure compliance with industry regulations: Aside from the long-term cost advantages of adopting a business continuity solution, backup and disaster recovery also helps organizations remain compliant with important industry regulations and other legal requirements. Three of the most important laws governing the protection of digital data are the Health Insurance Portability and Accountability Act (HIPAA), the Sarbanes–Oxley Act (SOX), and the Gramm–Leach–Bliley Act (GLBA). Though these laws apply to different industries, all of them require businesses to closely safeguard and retain sensitive digital information, a requirement that backup and disaster recovery is designed for. Backup and disaster recovery ensures organizations do not have to worry about compliance violations and legal issues related to data preservation, so businesses can focus on generating revenue and making clients happy. With so many potential problems that could cause IT downtime within an organization, it makes financial sense for businesses to understand how much outages could cost them. Many organizations don’t realize it, but the average small enterprise loses more money in revenue due to IT failures each year than they care to imagine. These costs are unique to every business depending on the size and complexity of the organization. Knowing specifically how much downtime will cost your organization is critical for understanding what kind of investment in backup and disaster recovery makes sense for your business. Having a solid ballpark number allows you to use cold, hard facts to weigh the economic impact to your company, and to compare it against the investment you’ll need to make in backup and disaster recovery systems.